God, in His mercy, chose Pastor K.E. Abraham as the founder of The Indian Pentecostal Church of God. Born on March I, 1899 to Godly parents of Jacobite faith at Mulakuzha, young Abraham was saved at the age of seven in 1906 and was baptized in water on February 27, 1916 by Mahakavi K.V. Simon. As a young man Brother Abraham ministered among the youth and many young people were saved. As a minister of the Gospel he had built a small place of worship adjacent to his house at Mulakuzha in 1920. Those who were saved through his ministry were baptized by him and the congregation began worshipping in this place. Some American missionaries who had come to South India in the early years of the century had published some Gospel tracts about the baptism of the Holy Spirit before they left India in 1914 when the First World War began. Brother Abraham got some of these tracts and came to know about the doctrine of the Baptism of the Holy Spirit. The Lord filled Brother Abraham with the Holy Spirit on Sunday April 22, 1923. As this experience was new to the congregation with Brother Abraham, it was hard for them to accept it. After about six months of waiting and praying, the Lord did a great miracle in their midst which convinced the people about the power of God and about the Baptism of the Holy Spirit. The majority of the congregation received the baptism of the Holy Spirit by the end of 1923, and the Lord enabled Bro. K.E. Abraham to start afresh his congregation as a Pentecostal gathering in January 1924. 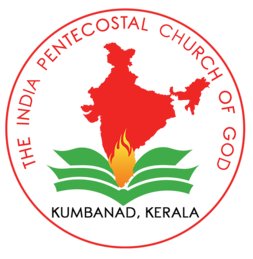 This was the origin of the great Pentecostal Movement in India. Being a school teacher, Bro. Abraham was confined to school work during week-days. But during weekends he used to visit other places and preach the full Gospel. By his ministry in different places, many had come to the saving power of Jesus Christ and the baptism of the Holy Spirit and small assemblies were established at Vettiyar, Pandalam, Punthala, Kumbanad, Elanthoor and other places, besides Mulakuzha. Though the congregations in these places had fellowship one with the other, they had not taken a name, but were known as “Brothers at Kumbanad”, “Brothers at Vettiyar”, “Brothers at Pandalam” and so on. Monthly fellowship meetings of these assemblies were held regularly from April 1924. Representatives from these assemblies began to meet from time to time and discuss about the progress of the work. As the founder and leader of the fellowship, Bro. K.E. Abraham presided over the monthly meetings and the meetings of the church representatives. In July 1924 a marriage had to be performed in this fellowship for which they needed a marriage register of a church. So, guided by the Spirit of God, Brother Abraham chose the name The South Indian Pentecostal Church of God. Marriage Register was printed and the first marriage in this church was solemnized on July 31, 1924. God raised other ministers in this fellowship. Most of them were baptized in water or led to the Baptism of the Holy Spirit by Bro. K.E. Abraham. Some of the ministers were Bros. K.C.Cherian (Mezhuveli), K.C. Cherian (Vettiyar), P.M Samuel (Keekozhoor), K.C. Oommen (Kumbanad), K.M. Zachariah (Punnakkad) and P.T. Varghese (Chethakkal). By the end of 1926 there were over 20 local churches and 25 ministers in this fellowship. The first convention of this fellowship was held at Ranni during April 1 to 5, 1925. Pastor K.E. Abraham, the leader of the fellowship was the main speaker along with Pastor A.J. John.